Ask anyone with the right passions to name Europe's most important gardens and you can expect to hear the likes of Versailles, the Alhambra and Kew amongst of course many other worthy contenders. However there is one that you have probably never heard of and yet is perhaps the most important of all European offerings. They are the gardens of Villa Castello, located in the hills north-west of Florence, Tuscany. Why is this place so important? Because Villa Castello is the earliest garden in existence from which you can draw a line of influence directly from its inception during the renaissance through the mannerist, baroque, neoclassical, and romantic periods right up to the present day! Since 1477 Villa Castello was owned by the de' Medici's, an elite banking family whose incredible wealth allowed them to dominate their city's government. With such influence at their fingertips, Villa Castello was 'unofficially' accepted as the seat of power in Florence. However it was set to change in 1537, when the current resident of Villa Castello, the Duke of Florence, Alessandro de' Medici, was assassinated by a distant cousin creating a massive power-vacuum in the region. The influential men of Florence decided to take advantage of this and replaced Alessandro de' Medici with the little known Cosimo I de' Medici. They believed they could rule the city state with the 17 year old Cosimo I as a puppet figure, enriching themselves in the process at the expense of Florence. Cosimo I was persuaded to sign a clause which entrusted much of the power to a council comprising of 48 members, but quickly rejected it. During this same period the news of Alessandro de' Medici's death, spurred Florentine exiles (along with the support of France) to invade Tuscany with the objective of deposing Cosimo I. The invasion failed, and all prominent and high profile prisoners were beheaded. In an extremely short period of time and against considerable odds Cosimo I had manage to established himself as the unrivalled ruler of Florence. 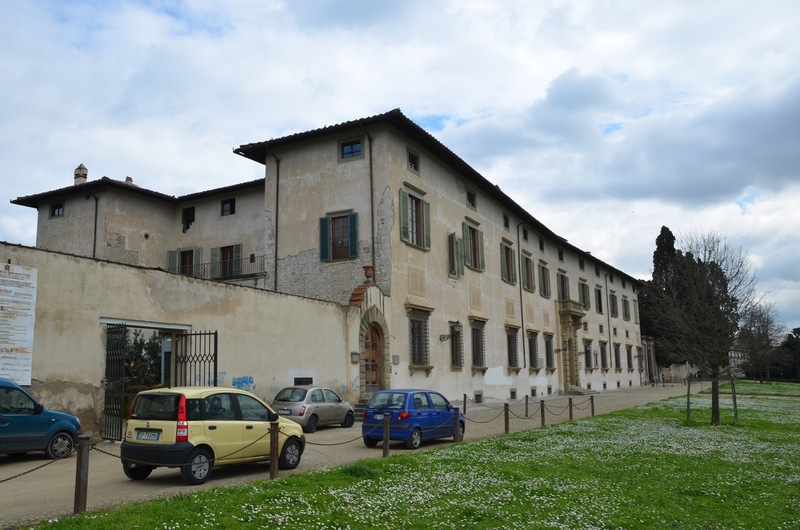 Of course Florence was still in turmoil, but with his position as head of the de Medici bank secure Cosimo settled back into Villa Castello and focused his attention on a grand and ambitious plan for the gardens. 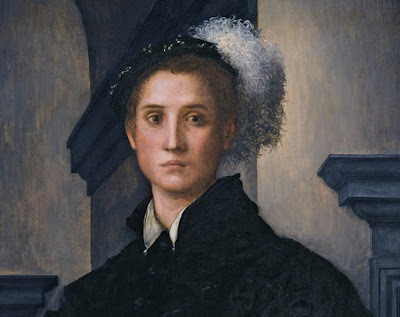 It may seem strange to undertake a major project during such uncertain and dangerous times but Cosimo had been inspired. The garden was to act as a symbol of his new order, a distinct contrast to the many previous years of Florentine family feuds, political confusion, and poor economic conditions. The renowned sculptor Niccolò Tribolo was commissioned to create the fountains and statues, but more importantly Tribolo was required to design a garden that would become a physical representation of good government as well as reflect Cosimo's sophistication and power. This new garden would prove to visiting rulers and dignitaries that the de' Medici's were the only family that could bring long term prosperity and happiness to Tuscany. A garden that was deliberately intended as a parade of cultured power was something new in 16th century Italy. Yet while the layout of the gardens exemplified the high renaissance and maximised the views of the surrounding countryside, they are both based upon well-established models of garden design. It was divided into sixteen compartments, each one reflecting further, perfect geometric shapes which demonstrated the control of man over space and nature. It was also the first time that an axis was used (and still exists to this day) splitting the central path from the Grotto to the Villa using the extraordinary and impressive fountain of Hercules and Antaeus as the centre point. This highly geometrical design created a perspective not seen in any other garden at this time. Tribolo placed symbolic messages throughout the garden, the clearest being the fountain of Hercules and Antaeus. In Greek mythology Antaeus was the son of Poseidon and Gaia, and he would challenge all passers-by to wrestling matches with the intention of killing them to collect their skulls. Mythology states that so long as Antaeus remained in contact with the ground he would remain strong and tireless. Of course when it was time for Hercules to fight Antaeus he found that he could not beat him simply by throwing him to the ground as Antaeus had the power to rapidly heal all wounds. However Hercules soon discovered the secret of his power and holding Antaeus aloft he crushed him to death in a bear-hug. This showpiece fountain at Villa Castello is a representation of how Cosimo, like Hercules, defeated his enemies through wisdom rather than just brute strength. All the fountains at Villa Castello depended upon gravity and water pressure to function, and fortunately the villa was located near a Roman aqueduct. In fact the name Villa Castello is taken from the old water cisterns (known as ‘castella’) near the site. Frustratingly, the Roman aqueduct was in no fit state to supply the villa and so Piero da San Casciano constructed a new system of aqueducts to bring water into a new reservoir built in the sacred bosco. This is still in place within the elevated section of the garden. The reservoir controlled the water using a system of bronze pipes which, hidden from view, entered the main body of the garden. 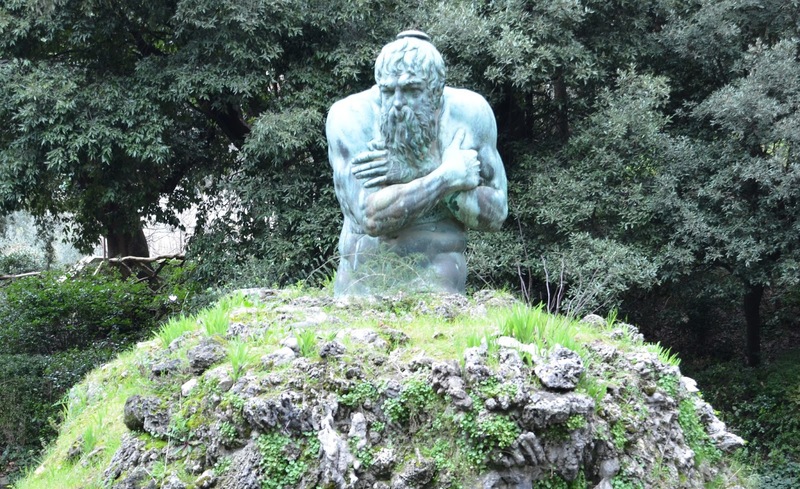 While it is true that many of the fountains have been removed, the statue of Appennino which symbolise the mountains of Tuscany,still survives in the reservoir. Here he is portrayed as a shivering old man and when the hydraulics were still functioning would have spent his life under a constant flow of cold mountain. The reservoir also fed two fountains that were once fitted within the recesses either side of grotto. Each of these fountains represented one of the two rivers of Florence, the Arno and Sieve. These 'rivers' flowed in channels through the garden, while other pipes carried water to the two main fountains. The water pressure was so effective that the fountain of Hercules and Antaeus produced a jet of water which spouted a full three meters from the mouth of Antaeus. The second fountain, 'The fountain of Florence, or Fiorenza' was originally located in the upper part of the garden near to the grotto. However in 1788 the fountain was moved to La Petraia, a villa also owned by the Medici’s where it can still be seen today. Once the water had passed through the fountains, the overflow was split into and channelled into two small private gardens on either side of the villa. From there the overspill entered two large fish ponds in front of the villa. After that, the water was used to irrigate the fields and gardens below. The area where once the fish ponds existed have long since been filled in and turned over to lawns. Sadly today most of the formal ponds have also been filled in, and the majority of the original fountains have been dismantled and the water to the grotto switched off. However in its heyday the hydraulic system of this garden was one of the wonders of the High Renaissance. Designed and engineered by Piero da San Casciano they too played an important part in the symbolism of the garden. Not everything in the garden was to do with expressing power and control, it was also about fun. With the turn of a key the gate to the grotto could be locked, leaving guests inside to be soaked with water from hidden pipes. In the original design the fountain of Hercules and Antaeus was surrounded by a circle of trees and yet again by a hidden pipe. Once again, unsuspecting visitors looking at the fountain could be sprayed with water from hidden nozzles. Perhaps the most famous feature of the garden is the ‘grotto of the animals’, an exquisite man-made cave entered by a doorway at the far end of the garden. The walls of the cave are covered with limestone to resemble a natural cavern. The roof is also decorated with stones, mosaic and seashells. In three chambers around the grotto there are set pieces of marble birds and animals housed above a large sculpted marble basin. When the grotto was fully functional, water streamed down from the ceiling and down walls into the marble basins. The important point to remember is that garden at Villa Costello was one of the first and most influential of a great wave of Italian gardens that were built during the latter half of the sixteenth century. Villa Costello not only stamped its highly distinctive mark on subsequent Medici properties (such as Villa di Pratolino and the Pitti Palace), but it reached out beyond Italy to influence the gardens of the French, and later the English renaissance including the grand gardens of Versailles and Hampton Court. It hard to believe that the entire citrus collection of approximately 500 plants was almost lost during the Second World War. The building used to over-winter the collection was converted to a hospital leaving no place of the seasonal protection of these tender plants. Left outside, many of the citrus specimens died during the cold, wet winters but all was not lost. Gardeners returning from the war quickly assessed the dire situation and were able to save some of the trees through grafting. You can still see the effects of these traumatic years in citrus plants bearing carefully bandaged scars. Today, Villa Costello is perhaps the most authentic renaissance garden in existence, and holds one of the world’s largest collections of cultivated citrus grown in terracotta vases. Incredibly, some of these vases date back to 1790 and a few still include the original plants! Although the Villa has been the home of the prestigious Crusca Academy since 1583, this fascinating history along with the plants and gardens can all be yours for free. Why? Because there is no charge for access to the gardens. Get the timing of your visit right and you can also gain access to the secret gardens, but don’t tell anyone you heard it from me. As I said, it’s a secret!